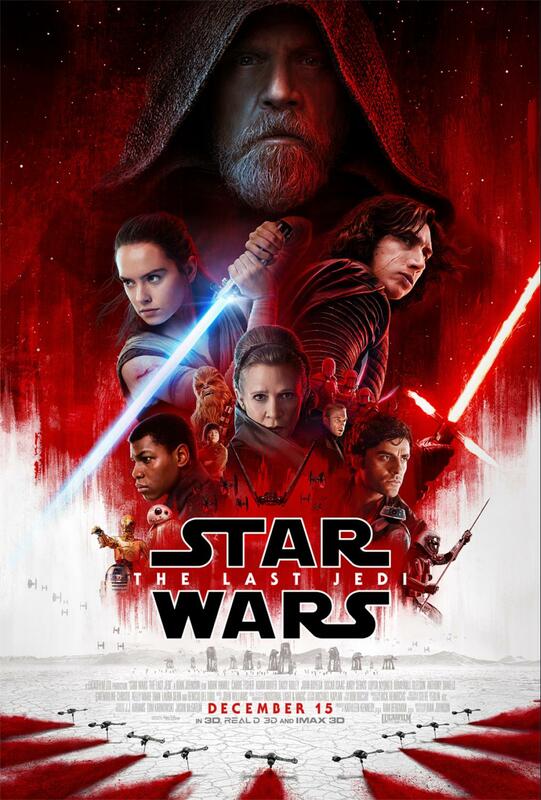 STAR WARS: THE LAST JEDI opens in theatres everywhere December 15! Lolli and I were able to see The Last Jedi at an early screening, but all thoughts and opinions are my own. Photo stills from the film © 2017 Lucasfilm Ltd. All Rights Reserved. When the first Star Wars came out in 1977, I lived in Nashville, Tennessee. Our house was one of the last houses at the end of a dead end road. But, on the other end of our street was a drug store, grocery store and Cinema South (the theatre). It was less than 2,000 feet to walk to Cinema South. And, in May of 1977, that’s just what we did. That summer we walked down many times to see Star Wars again and again. There was nothing in the world as exciting. So, with that in mind, let’s talk about The Last Jedi. 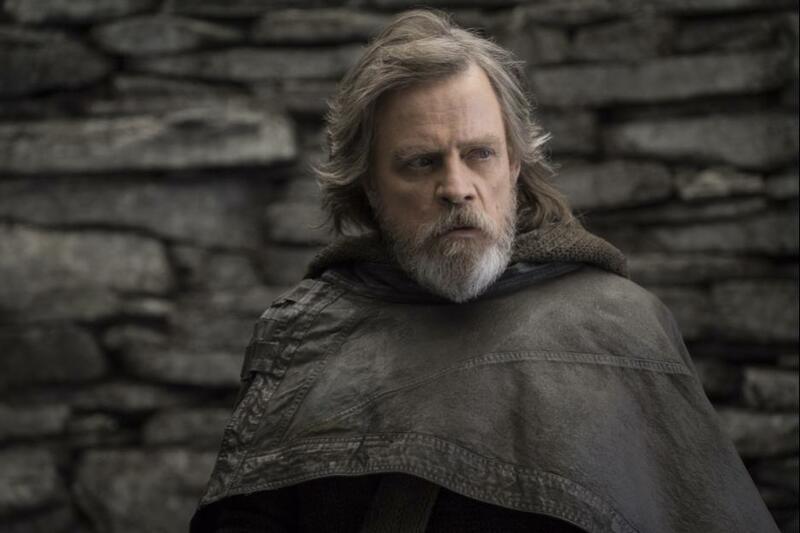 The previews have laid out the basic storyline; Rey (Daisy Ridley), has tracked down Luke Skywalker (Mark Hamill, of course) and begins her journey to learn about the Force and become a Jedi Knight. Before you start down the path of Degobah, just keep in mind that this is not “The Empire Strikes Back.” Rey’s experience with Skywalker is not a redo of Yoda. Rey has a much more natural knack for using the force than Luke Skywalker ever did, which comes in handy when facing Kylo Ren (Adam Driver). Having said that, if you loved Empire, you’ll be hard pressed not to notice the parallels between the two movies (Planet Hoth, Luke’s Jedi Training, the Rebel’s constantly on the run, an evil Leader who loves to choke people, and perhaps a few other things). Fortunately, the similarities are not to the detriment of the movie. In fact, The Last Jedi takes us far enough down the path that we even get to see a few very unexpected parallels with Return of the Jedi. You’ll be quite blown away by that point. This latest installment leverages the right amount of “Star Wars creature” humor viz a viz the introduction of Porgs. I call them “space chickens.” They are quite funny, but play a small role in the film. So, don’t fear any kind of Jar Jar Binks reprisal. You’ll love the opening scene where we meet new characters, see new space craft and new Star Wars-style technology that makes you wish you were a kid again. The big elephant in the room though is why Skywalker is living like a recluse; not to mention, what is his connection to Rey. Since this is a “no spoiler” review, you’ll just have to decide for yourself what the answer is. 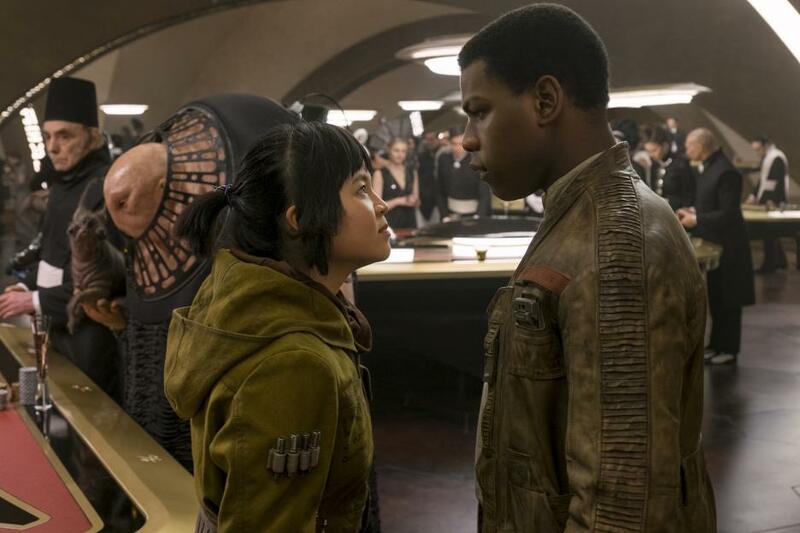 Kylo Ren plays mind games with Rey throughout the film and Luke is pressured to leave his hermit house and take up the fight like Obi-Wan of old. As Luke engages with the Force again after turning away for so long, he is faced with the ultimate decision of what he will do to restore the Jedi order. His life is a constant struggle between using his knowledge of the force to pass on what he has learned, or fear the possibility of accidentally arming another generation of sith apprentices. In such times, there’s nothing like a more experienced voice of reason to help you out. Rey must face her own demons by confronting her nameless past. She must learn to see herself as more than an orphan with no future. There is some definite new energy building up for the final installment. I don’t envy the writers. They were kids like me when the original trilogy came out. What would I do if I was responsible for writing these movies? Good question. As for Cinema South, it was a movie theater under various management until 1998, when it was closed. Later it became a nightclub called the Outer Limit and was finally demolished in late 2004. Today there’s a supermarket on the site. I doubt that anybody there even knows that 40 years ago kids came from all over to see the original Star Wars again and again all summer long. My final recommendation: head to the theaters this weekend to see Star Wars: The Last Jedi. You won’t regret it.